Uncertainty prevails as the horticulture industry waits to hear whether it is about to lose access to the world’s most widely used weedkiller, glyphosate, reports Horticulture Week. Glyphosate’s authorisation is set to expire on 30 June if experts from the 28 EU member states do not vote to reapprove its license. But the states are at an impasse, having now failed three times to reach a decisive vote for or against reauthorising the weed killer. 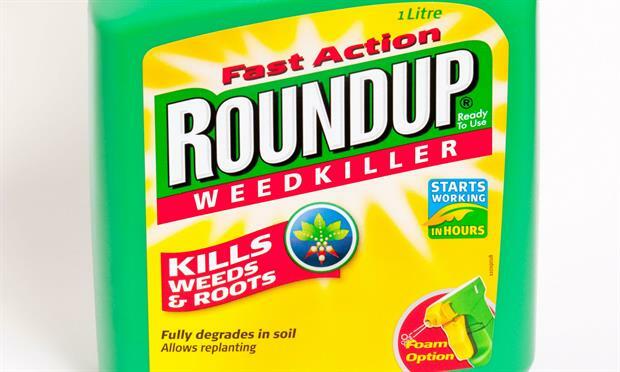 The European Commission has tried to help the states reach agreement, drastically slashing the length of time the glyphosate license would be approved to a temporary extension of 12-18 months. This would give time for further scientific input from the European Chemicals Agency, which is expected to allay doubts about the chemical’s safety. The latest failed vote was held on Monday (6 June), with 20 votes in favour, one against and seven abstentions. The European Commission now plans to take the vote to an appeals committee on 23 June, again made up of member states. If that committee cannot reach a qualified majority (representing 55 per cent of the EU states and 65 per cent of the EU’s population) then the European Commission may override the committee to get glyphosate reapproved. But that decision would be deeply unpopular with the EU’s executive branch. Opposition to the use of glyphosate has swelled since 2015, when the WHO’s International Agency for Research on Cancer said that the chemical was “probably carcinogenic to humans”. Other safety bodies have challenged that claim, including the European Food Safety Authority, but it continues to hold sway in the public mind with more than 2m people signing a petition calling for glyphosate to be banned. The uncertainty is acute for grounds maintenance contractors, who may see their labour and supply costs shoot up without access to glyphosate. Neil Huck, BALI’s technical director and Ground Control national training manager, said the lack of certainty around glyphosate’s reapproval was “getting worrying”, while National Contractors Forum chairman Phil Jones said it would be “a shame” if the license ended up being withdrawn by default. “The biggest frustration is that we don’t have a clear guideline. Give us a mandate – we’re the professionals, and we will apply it,” Jones said. Grounds maintenance contractors now include a clause in their contracts allowing for the terms of a contract to be renegotiated if the law changes. But Jones, who is also managing director of ISS Facility Services – Landscaping, said many contractors are looking to reduce herbicide use on their own. He added that those contractors who are halfway through contracts and don’t have a legislative change clause built in will need to have a more detailed discussion with their local authority clients. Terry Doyle, Glendale’s regional director for the South West, said Glendale is trialling many weed control options and has chemical-free sites. But with local authorities under such financial pressure, “my personal view is if we were to price (a ban on glyphosate) into a tender at this stage we would be the only contractor doing that”. Terry Doyle, Glendale’s regional director for the South West, said Glendale is trialling many alternative weed control options and already has chemical-free sites. But with local authorities under such financial pressure, “my personal view is if we were to price (a ban on glyphosate) into a tender at this stage we would be the only contractor doing that”.